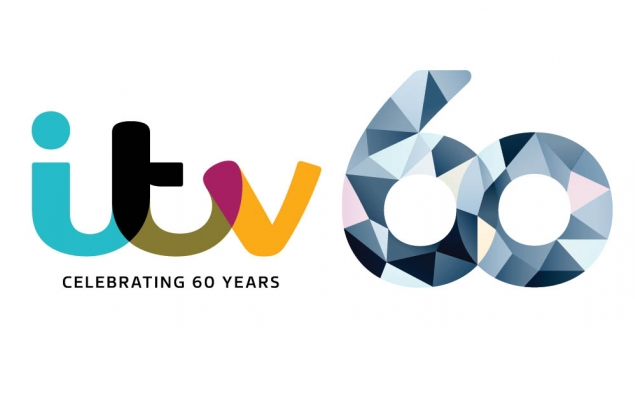 As part of ITV's 60th anniversary, ITV is marking 60 years since the first newsreader appeared on British television and tells the story of television news. And Here Is the News (ITV, 22/09/2015 10:40pm) will feature some of Britain's best known newsreaders. The programme hears how the BBC, after learning about the impending launch of Independent Television News (ITN) and their plans to put newsreaders on camera, beat ITV to it with Richard Baker and Kenneth Kendall becoming the first in-vision news presenters on British screens on September 4th 1955. When ITV launched 18 days later on the 22nd September 1955, ITN decided to go with a famous face to read their first news bulletin, choosing Christopher Chataway, an athlete who had broken the 5,000m world record. ITN was set up by the Independent Television Authority and each ITV company had to purchase a stake in ITN and finance the organisation as they launched region-by-region during the late 50s and early 60s. The documentary reveals how ITV’s News at Ten was initially only due to be on air for a 12 week trial run to fill the schedules over the summer of 1967. The BBC’s Angela Rippon sets the record straight over her alleged professional relationship with ITN’s Anna Ford during the 1970’s. Angela recalls the newspapers going mad over their ‘rivalry’, when in fact they became close personal friends. Also within the programme, news anchors share the moments that meant the most to them, including the fall of the Berlin Wall in 1989 when technology had advanced enough for news teams from the BBC and ITN to anchor live from the Brandenburg Gate. And Here Is The News also hears what it’s like for the newsreader when delivering huge breaking news live on air such as when Mary Nightingale told the nation about the death of the Queen Mother. 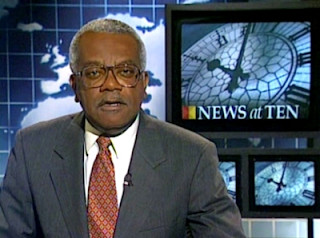 Sir Trevor McDonald (pictured) reveals what it was like to be the first black British newsreader and how he never let it bother him as he was more concerned with surviving in his career. The programme also shares the humorous moments when the unexpected happens live on air, and Katie Derham tells us her most embarrassing moment when she upset an interviewee by calling her ‘Fat Sue’..
Jon Snow shows us the autocue on the set of Channel 4 news and recalls the various problems he’s experienced with it over the years. And Here Is The News features contributions from Sir Trevor McDonald, Jon Snow, Michael Aspel, Sandy Gall, Krishnan Guru-Murthy, Richard Baker, Alastair Stewart, Mary Nightingale, Mark Austin, Julie Etchingham, John Suchet, Eamonn Holmes, Martyn Lewis, Katie Derham and Nicholas Witchell, alongside archive interviews with Sir Robin Day and Sir Christopher Chataway.